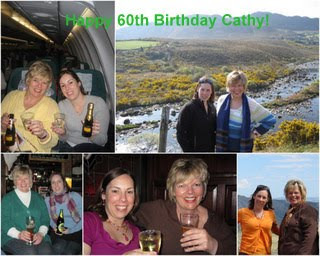 Jodi Bean's Blog: MORE Birthdays!!! 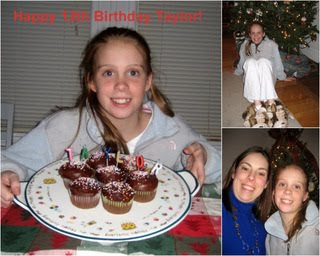 Yesterday Taylor and I celebrated her 14th birthday which is on December 12th. 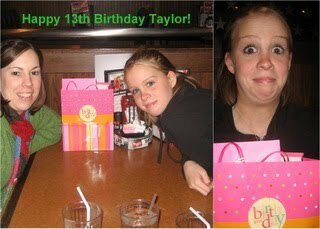 I've mentored Taylor since she was 10 years old and it is fun to look back at all the birthday celebrations. Taylor was so little when I met her and just a "kid" and now she is such a nice young lady. I really enjoying having her as my friend. Yesterday we had lunch at Chili's and for dessert a delicious chocolate molten cake. Yum! I gave Taylor a pink Snuggie which she really wanted. 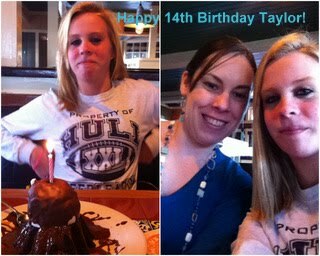 Last year for Taylor's 13th birthday we had lunch at TGIFriday's and dessert at Friendly's. I gave Taylor a special necklace for her gift since she was now a teenager!! 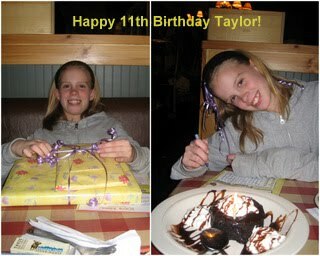 For Taylor's 12th birthday we went to lunch at Bugaboo Creek for lunch and dessert and then back to my house for presents and more dessert. I made Taylor special cupcakes w/ candles that said Taylor. I have her fun bulldog (her favorite) slippers, a bracelet that I made her and a little friendship sign. I love birthday celebrations and I'm glad Taylor and I have been able to celebrate so many together! I still can't believe she is 14!!!!!!!! 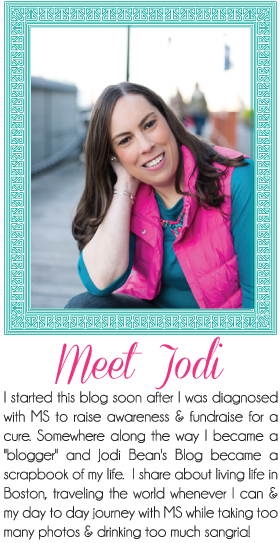 Jodi Bean's Fundraiser for MS - Photos FINALLY!!! I LOVE Sales and Deals!